Yet another recipe that came about because of an herbal abundance! 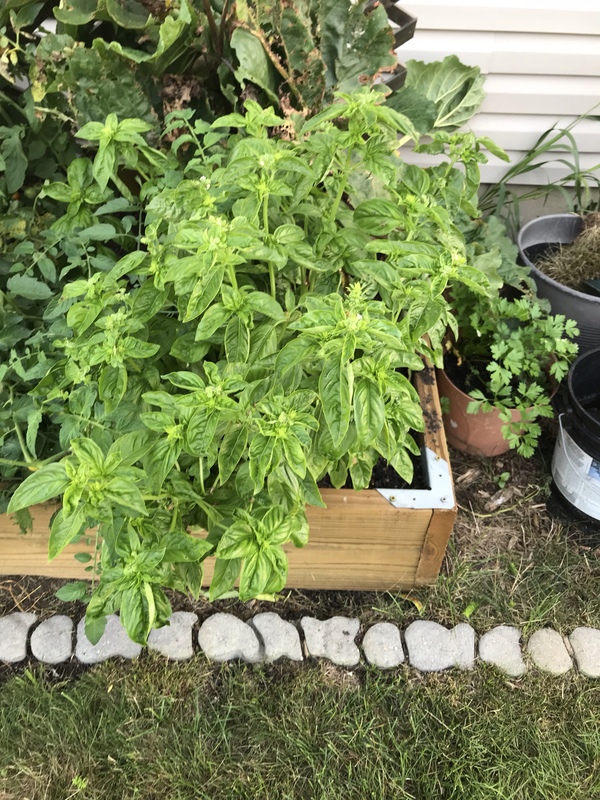 My basil is taking over one of my garden boxes and there is no way that I’ll use it up before the end of the summer. 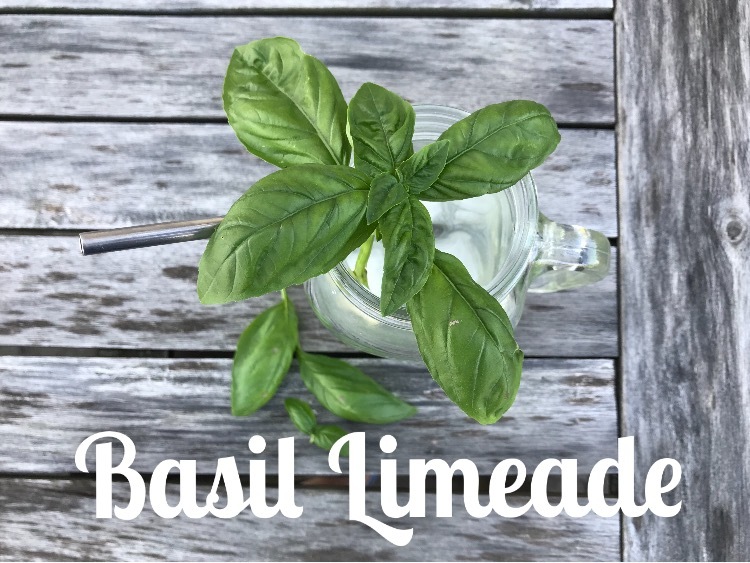 There are lots of basil limeade recipes out there, but most of them had way too much sugar for my taste. I decided to just play it by ear, and this is what I came up with. Muddle the leaves manually a little bit (just fold/bend them a bit) and add them to a glass with the sugar. Add boiling water and let steep for about 5 minutes. Pull out the leaves and discard. Squeeze in lime juice. Add cold water and serve with ice. This recipe is super easy to multiply for more servings or if you like your limeade sweeter. 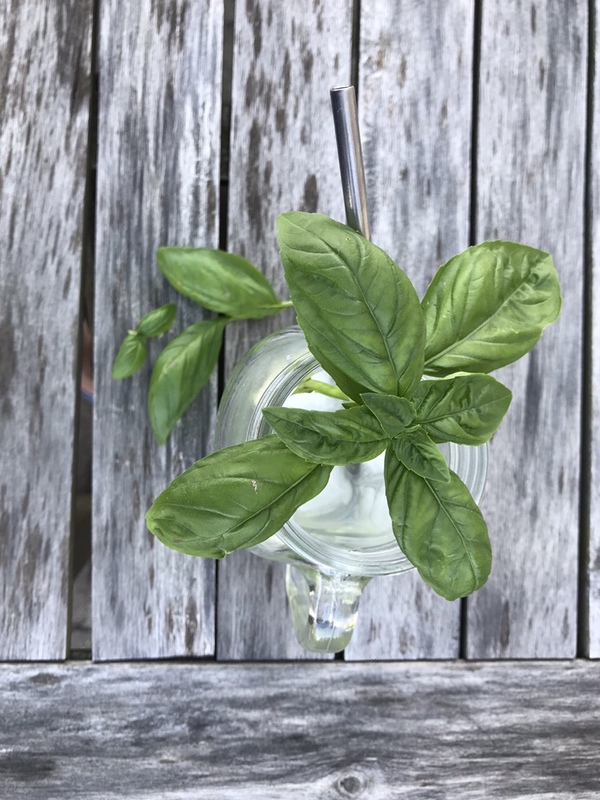 Or you could add mint for Basil-Mint Limeade.